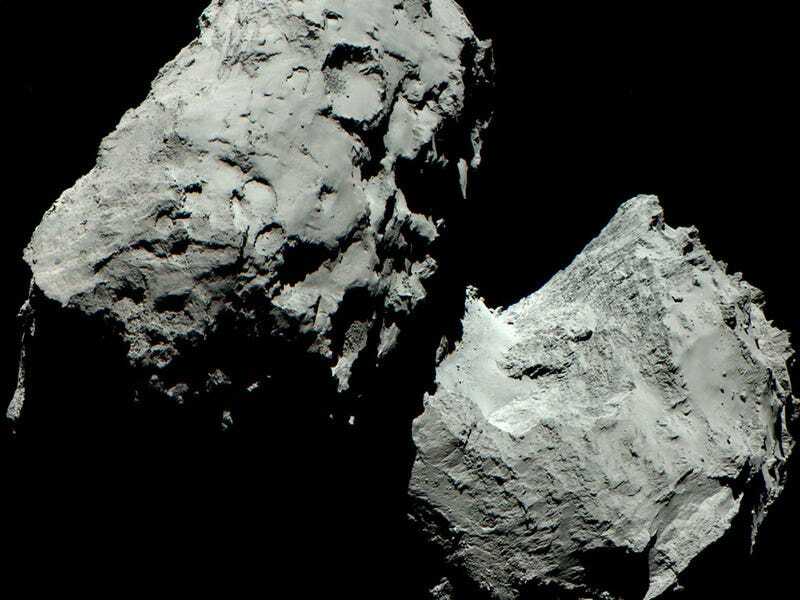 A color image of Comet 67P has finally been released, revealing that it is… grey. A color image of Comet 67P has finally been released, revealing that it is… grey. The picture is composed of three images taken by Rosetta's scientific imaging system OSIRIS in red, green and blue filters. In reality, it's even darker, but the image has been brightened enough for us to see the comet's features.